Meetings are made easier by being able to see available meeting space and instantly book it from outside the room. Avoid meeting organizers fighting over the same space. Found a room? Book it in seconds and start collaborating. Appspace makes meetings easier. Our room scheduling card templates integrate with your corporate calendar and customizable to your brand. 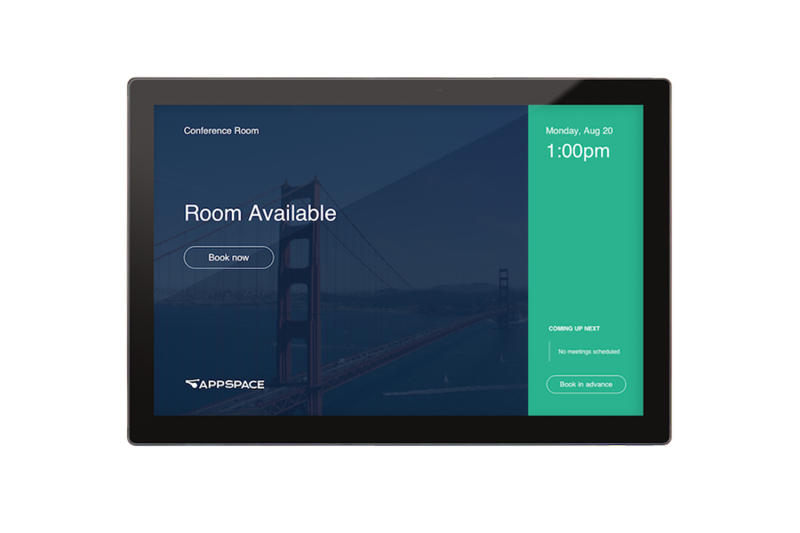 View in the Appspace App on screens outside the room or in common areas. See availability of a single meeting room. 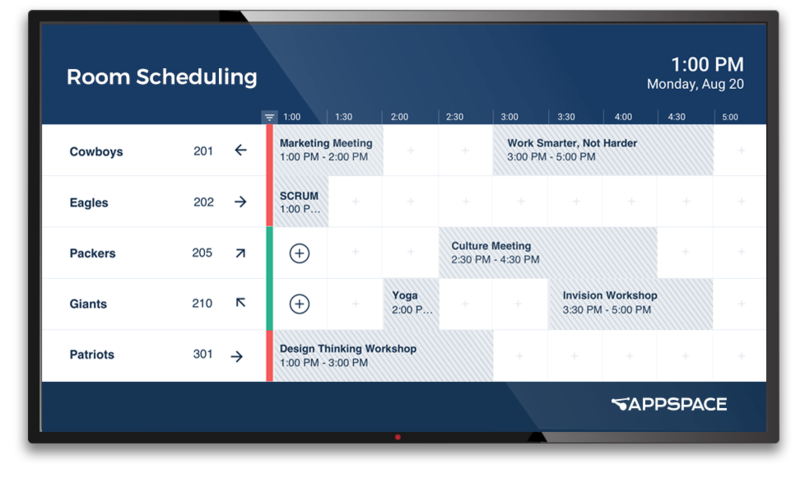 Book instantly or schedule a future meeting. Deploy to a touch-enabled device outside the room. See availability of all meeting rooms in one place. Book any room instantly or schedule a future meeting. Deploy to touch-enabled devices or kiosks in public spaces.